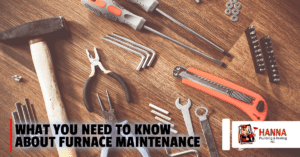 The most inconvenient time for your furnace to malfunction is when you depend on it most – during the winter. During this time of the year, we spend a lot of time indoors, often hosting holiday guests or cooking delicious meals for our families. With all the busyness that surrounds us, it’s easy to overlook certain aspects of our home’s maintenance. Take a look at the benefits of a cleaning and safety inspection of your home’s furnace.